This post is from Suzanne, who cannot hope to ever match Ty's sense of humor or reproduce his witty repartee, but who has been requested to provide an update on his wilderness adventures. 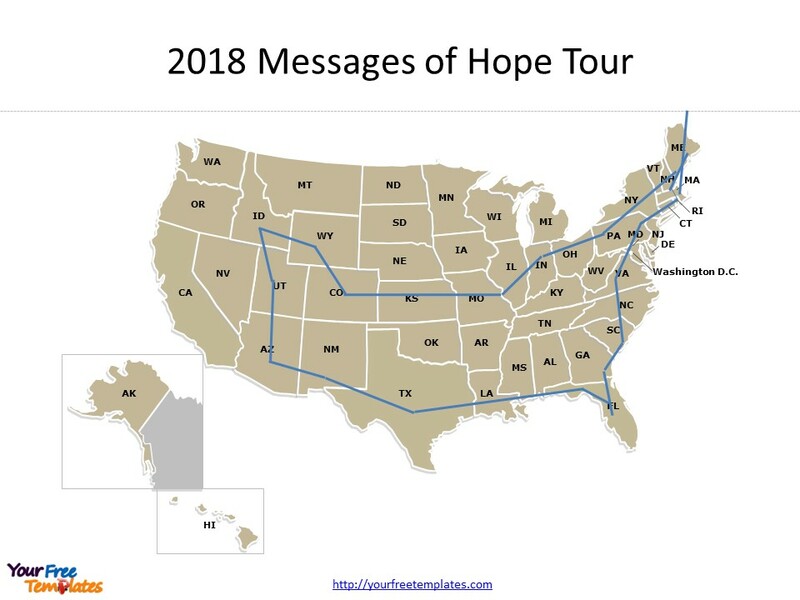 In his last post he provided a link to the homing device that allows all of us to track his position and follow along vicariously as he spends a week exploring the Superstition Mountains east of Phoenix. I enjoyed watching his track advance farther and farther from civilization on Wednesday. (Kind of like, "Where's Waldo?") By clicking "satellite" view on the map I could see exactly where he was. The photo here, sent from his cell phone before he lost service, shows the rugged yet beautiful terrain through which he was hiking. When the GPS stopped transmitting late in the afternoon I knew that he had settled in for the evening. The next day (Thursday), I became a bit concerned when I saw no movement by 11 a.m. Mountain Time. By noon I was trying to figure out if I should be worried. I recalled joking in past workshops about a time when we signed a trail log "in case we were eaten by a mountain lion." I couldn't help but hope those words would not turn out to be the ultimate irony as there are mountain lions in the area in which Ty is backpacking. I waited another hour and had just picked up the phone to text his daughter (You know, to write, "Should we be worried?") when Ty called. Big relief. It turns out the GPS simply did not resume sending out signals after being dormant all night. In fact, he had left camp early in the morning after a big surprise. There he was, fixing breakfast, when a man came scrambling down the hillside, looking quite relieved to find another human being. The man had become lost and had hiked all night with no tent and nothing but a jacket and shorts. He was covered in cuts and had dozens of cholla cactus thorns in his skin. Ty gave him water, broke camp, and accompanied him to the trailhead. That's where he was when I received the much-appreciated "I'm okay" phone call. At that point he made the decision to head to Tucson. Rain was predicted for the next 48 hours with the possibility of flash flooding. Why Tucson instead of Phoenix? Does the word "Superbowl" mean anything to you? When he flew into town Wednesday night, it was too late to hit the trail. He found a room on Hotwire for $54. That same room, thanks to the influx of football fans in Phoenix, is now going for $243! He received an email from our good friend, Colonel "Crusty" Charles Cunis, concerned about the updated track from Ty's GPS. It shows a direct line from the Superstition Mountains to his current location in Tucson. "It looks like you're on a military installation," Crusty wrote. "Were you airlifted?" You are 50% correct, Charlie. My Beloved Husband (MBH?) was not airlifted, but conducting evasive rain maneuvers by rental car, and is now ensconced in the Distinguished Visitors Quarters at Davis Monthan Air Force Base. 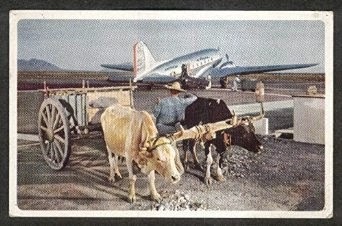 Note the runway in the photo, with Ty's location right where the Bachelor Officers' Quarters are. As you can see in this photo just received from MBH's cell phone, the VIP quarters at Davis-Monthan are a far cry from the one-man tent he is supposed to be sleeping in while away from his lonely pack. In defense, Ty tells me that he spent last night in a normal BOQ room, but was kept awake by rowdy Air Force officers letting off steam one floor above his. He just transferred to this upgraded room in hopes of a better night's sleep tonight. 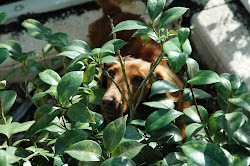 This is not the silence of the wilderness he went in search of, but I'm not sure whether to feel sorry for him or not! The rains should pass by Saturday evening, and he will return to the mountains on Sunday, and we can resume tracking him once again. Big brother is watching you, Sweetheart, as are all of us who love you! I am headed to the Superstition Mountains east of Phoenix and Mesa, AZ, for a week of backpacking and testing out my home-dehydrated food. You can follow my trail of breadcrumbs (otherwise known as SPOT beacon marks) starting Wednesday 28 January. Heavy rain is expected on Saturday, and since the area is known for flash floods, I will not be hiking that day. If the link doesn't work, try copying and pasting it to your browser's address bar. If nothing shows up, I am sitting at Hooters eating wings. Manatees! Gimme a Kiss, Babe; Preponderance of the Evidence; First You Have To Be Smarter Than It; Su-Shi!!! Where is Ty? "Bloated?" 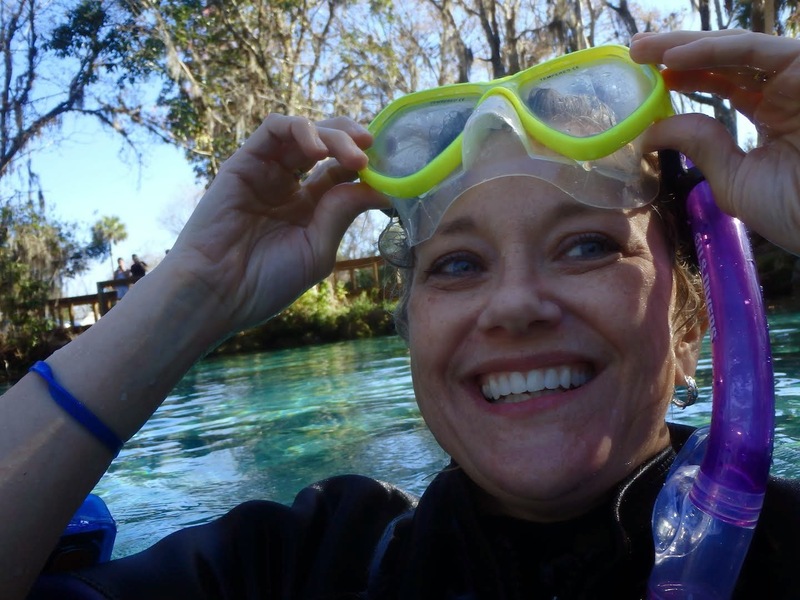 Before our good friend Terri of the Frozen North returned to Minnesnowta, she had a "bucket list" item to check off - a visit to Crystal River to swim with the manatees. 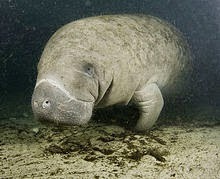 Florida manatees (Trichechus manatus latirostris) are also called sea cows, and are distant relatives of the elephant. Adults weigh up to 1,400 lbs and can reach 11 feet in length. A thick layer of fat and a slow metabolic rate keeps them warm in winter, but water temperatures even in the high 60s can be fatal. They feed on 60 varieties of sea grasses and plants, but may also eat small fish and invertebrates. They typically live to 25-30 years of age, but have been known to live to 60. 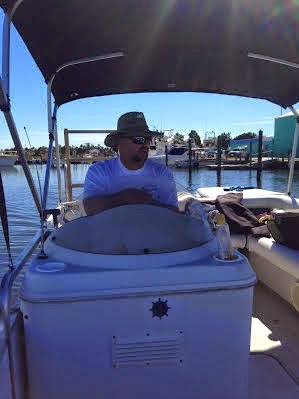 We booked a trip at CrystalRivermanatees.com, and arrived on the coast to meet Harry, our boat captain and tour guide. We donned wet suits, boarded a 24 foot Hurricane boat, Harry gave us a commentary on the way to the springs, and since he is from Crystal River, he provided plenty of "local knowledge" that we would have otherwise been unaware of. 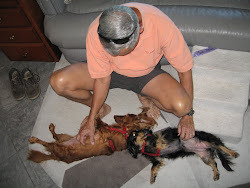 A short trip up river was a pleasant maritime change to our usual landlubberly existence (living aboard a sailboat for six years and sailing across the Atlantic was quite different than our current method of cruising across the country in an RV). Harry brought us to Three Sisters Springs, where we anchored and got into the water (a not-exactly-toasty 72F). At Three Sisters, you swim into the small springs area from the wider river, hauling yourself against the current with the aid of a nylon line attached to the bank. Beneath you swim schools of fish and the occasional manatee, sometimes a single adult, sometimes a cow and her calf. There were more manatees than we ever imagined. Suzanne enjoyed the manatee show for about 45 minutes until the cold water started to bring down her core temperature, and she swam back to the boat to warm up. Terri, Harry and I continued to observe and swim with the manatees, keeping a 6-10 foot distance from the animals in accordance with the rules. You are not allowed to touch the manatees, but "if contact is initiated by a manatee, you are allowed to touch him/her gently with one hand." Yeah, like a manatee is going to come give us a hug, right? Well, guess what? 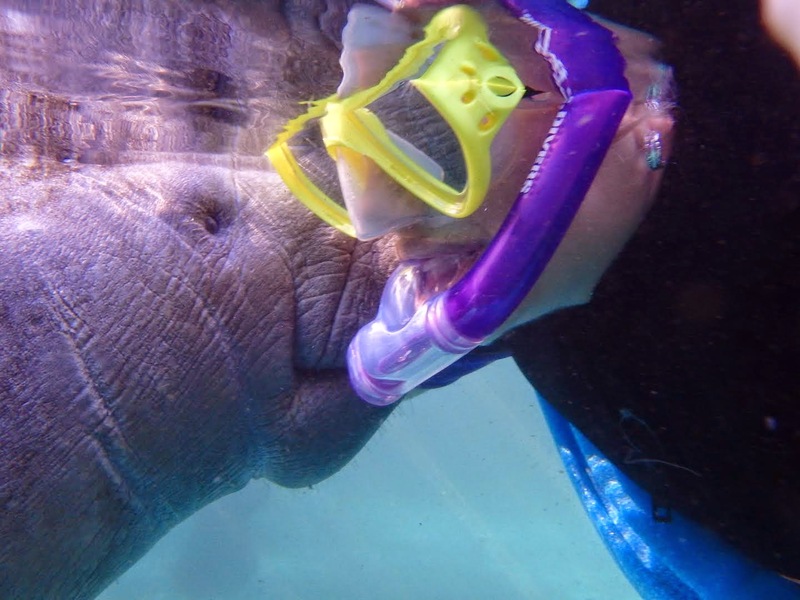 Here's Terri being kissed by a young manatee about 2-3 years old. This little gal swam right up to Terri to nuzzle her and have her belly rubbed. 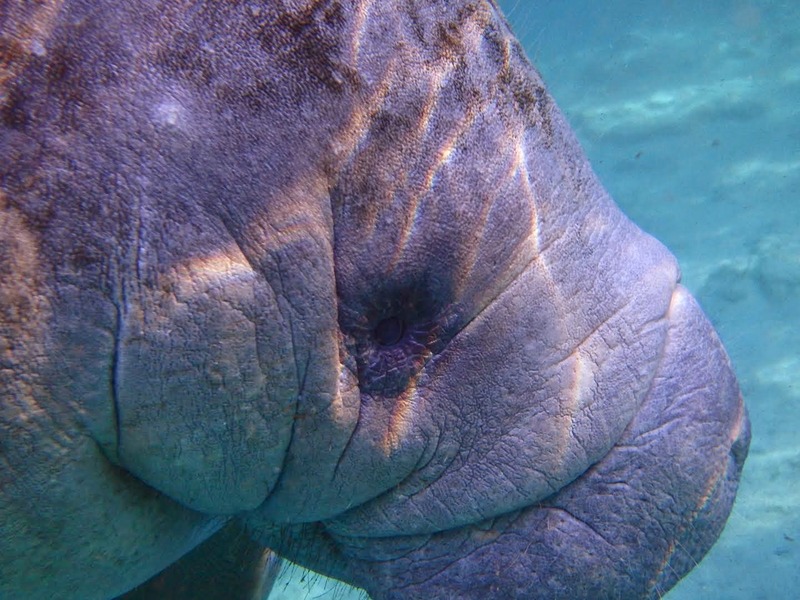 I even got a kiss or two (My Lovely Bride wasn't jealous, for some reason), and I can tell you that looking eye-to-eye with a manatee actually up against your dive mask is a world-class, once-in-a-lifetime experience. Their skin feels much like an elephant's, but wetter. Suzanne was invited by Nancie Leon here in The Villages to address her Energy Meditation Group at Lake Miona Rec Center the other day. An S.R.O. crowd of over 200 folks crowded the room for Suzanne's first "Preponderance of the Evidence" talk. It was very well received, and Suzanne has been asked to give that talk again before we leave for our summer tour at the end of March. Details will be available on her web site, www.SuzanneGiesemann.com . A much safer place to eat a few nights earlier had taken us back to V.K.I., our favorite Japanese restaurant and sushi bar, with good friends Joyce and Sharon, who had asked for a lesson in sushi etiquette and cuisine. We were happy to help, and met them for Introductory Sushi 101, which included watching our sushi chef prepare delicious nigiri and rolls. Sharon and Joyce also learned about wasabi (Eutrema japonicum), the fiery green Japanese horseradish that bears an uncanny resemblance to avocado (MLB mistakenly popped a large piece of wasabi into her mouth during her very first visit to a Japanese restaurant... a mistake that she has not repeated since). Our meal included red snapper appetizer (lightly battered and fried, and to-die-for), gently sauteed gyoza, nigiri sushi (yellowtail, shrimp, salmon, eel and tuna), and two rolls (spicy tuna and California). Part of the Intro course is learning about Japanese beer. Any sailor ever stationed in Japan will give you their opinion on which beer is best, but our personal favorite is Kirin Ichiban (Kirin is a mythical creature, part dragon, part lion; Ichiban means "Number One"). It was a fun evening, and we had a blast introducing Joyce and Sharon to our favorite sushi. We were having dinner with Suzanne's Lovely Mom Ruthie, her brother Brent and His Lovely Bride Cheryl the other night when Brent related the following tragic true story... a friend of his showed up for golf one morning, and Brent asked him, "Fred, why are you looking so glum?" Fred replied, "I don't know what I said wrong, but my wife took me shopping with her yesterday. When she came out of the changing room with a dress on she asked, 'Does this make me look fat?' I knew better than to say yes, so I replied, 'No, just a bit bloated... "
You're Not in Minnesnowta, Terri; A Unique Landbridge; A Horse by Any Other Name; SPOT, Where is Ty? We crossed I-75, which was just a tad noisy. 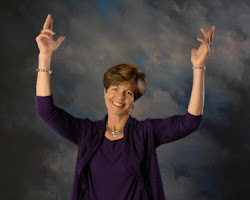 We apologized for the change from the silence of the forest, but Terri said, "All I hear is a rushing river and maybe a waterfall..." (Now that's positive attitude!) 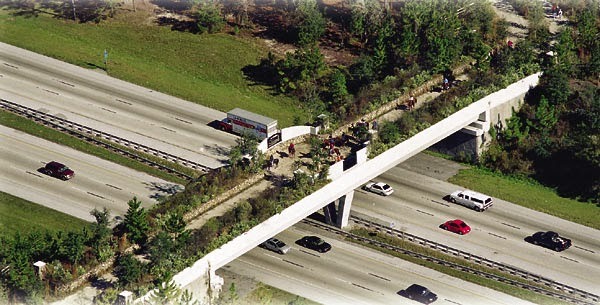 The trail goes over the Interstate on a concrete overpass landscaped with saw palmetto, Chickasaw plum, rusty lyonia and yellow hawthorn, and at one end are two infra-red cameras that monitor deer, bear and even panther activity; large mammals often use the overpass to get from bed-downs to feeding areas. After an hour of hiking, we took a snack break (Nature Valley Dark Chocolate Cherry Trail Mix bars, My Lovely Bride's favorite) on the luxuriously comfortable Tyvek sheets Your Humble Correspondent had thoughtfully packed in. (At least we didn't get our shorts full of dirt...) Then it was another hour and change along a side loop (blue-blazed trail) back to the trailhead, for a quite respectable five miler. Finally, I have to relate the following sad, but true, story. 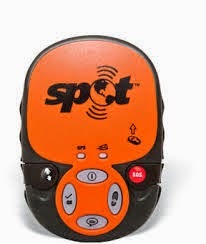 Suzanne had seconded the recommendation of My Lovely Daughter Elisabeth to have me procure a SPOT emergency locator beacon for my upcoming trip into the wilderness. I fought the idea, saying that I had done perfectly well this far in my life without an electronic "Help Me" device. Being reminded that I am getting longer in the tooth didn't set well, and "Dad, we have to know where to look for the body if you don't come out after a week" was even less well received. But after ordering a SPOT beacon to get the two women in my life off my back, I was reminded by My Lovely Bride that, "And oh by the way, it has a feature that can let us track you while you are hiking... and if it shows you in the Mesa, Arizona, 'Hooters', instead of on a mountain, you're in deep trouble!" But speaking of fashion sense, in preparing for my upcoming annual backpacking trip (this year to the Superstition Wilderness), I was digging through our cold weather clothing bag, and found a great fleece hat that will be perfect for 30 degree nights in the high desert... "Suzanne, why are you laughing hysterically at my hat?" Part of our training plan for the Camino in September is a weekly hike with full backpacks. Our hikes are also helping me get ready for my Superstitions trip; especially since I am now training with a 35 lb. pack, which is what I will carry in Arizona. Suzanne is carrying about 15 lbs., which is what she will carry on our Camino pilgrimage. Here she is standing in front of an unusual oak tree on a trail in the Marjorie Harris Carr Cross-Florida Greenway south of Ocala. The woods here are gorgeous, and the trails almost deserted on weekdays. We saw only a couple of mountain bikers on cross trails; our hiking trail, part of the Florida Trail, is for hikers only. MTBs and equestrians are segregated on their own separate trails. This cuts down spooking of horses by bicycles and also helps keep our boots clean (Lower Yuck-Factor!). But quinoaphobia, on the other hand, is a much more serious matter. I will admit to having that affliction. No matter how protein-packed that pseudocereal (look it up) may be, my gastronomic experiences with quinoa have been uniformly disastrous. Well, at least until last night... Gayle Hancock joined Terri, Bob and Jan at our house for Ty's World Famous Chicken Marsala (no laughter, please... I'll have you know that an Italian restaurant even asked for my recipe). Anyway, Gayle brought a bag of quinoa penne (who thinks this stuff up, anyway?) Cutting to the chase, while initially suspicious, I tasted some of it and found it... palatable... even, well, tasty. But that's only because it tasted nothing like quinoa! It tasted no different than regular pasta. This was a win-win discovery, because Gayle was happy and I got to eat something healthy that didn't taste like wood chips or cardboard. 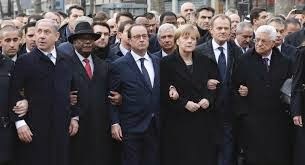 Urgently Needed: Stand-in for the Golfer-in-Chief to attend anti-terror summits, state funerals and presidential-level functions overseas that conflict with Presidential Tee-Times or that require walking out-of-doors with other Allied heads of state. Conversational French/other foreign language ability is a plus. Salary negotiable. Frequent Flyer miles and First Class travel guaranteed. Assured employment until 20 January 2017. Apply at 1600 Pennsylvania Ave., Washington, DC. WHO IS MISSING FROM THIS PICTURE??? Very Dry Food? New Housing; Camino Preps; Canine Art Treasures; A Woman's Number One Weapon? I also did a batch of zucchini, which resulted in tasty zuch-chips seasoned with celery salt and Italian seasoning. It is amazing how much veggies shrink when you dehydrate them, as you can see by these before and after photos. Re-hydrating is supposed to restore them to 80% of their original size, but the chips you see here are eaten just as they are, like potato chips. The process takes a long time, 6-24 hours, depending on what you're drying. Even more dramatic was what happens to tomatoes... here I am cutting up, after blanching (the very first time I've ever blanched, I'll have you know!) six (yes, SIX!) Roma tomatoes. And here is the result after 8 hours of dehydration... a small bag (less than 3/4 ounce) of dry red stuff that would fit into one snack-size Zip-Loc bag (but all I had was the quart size). And I always wondered why sun-dried tomatoes were so expensive! In preparation for a solo backpacking trip in the Superstition Mountains of Arizona at the end of the month, I decided to get a lighter tent. My old one is a two-man tent that weighs 5 lbs; my new "ultra-light" one-man tent weighs just under 3 lbs. and has much less floor space and headroom (surprisingly enough) than its predecessor. Rudy and Gretchen decided they wanted to try out the tent, but alas, they aren't going on the trip with me; their legs are just too short, and Rudy has to stop and sniff every five feet, making hiking progress way too slow. You can see in the first photo that most of the tent's upper is mesh (to keep bugs out and for ventilation), but there is a waterproof rain fly that fits over the tent to keep out rain, snow, mice, mosquitoes, snakes, tarantulas and bears... it's about as thick as heavy Saran wrap, so I'm hoping it's not tested by that last animal. On the subject of hiking, Suzanne and I are still training (and will be until September) for our 500 mile long trek on the Camino de Santiago in Spain, but we won't be carrying tent, stove or food on that trip. Hostels for pilgrims exist in almost every village and town along the Camino, which allows you to carry much lighter packs (15 lbs for MLB, 20 for me). 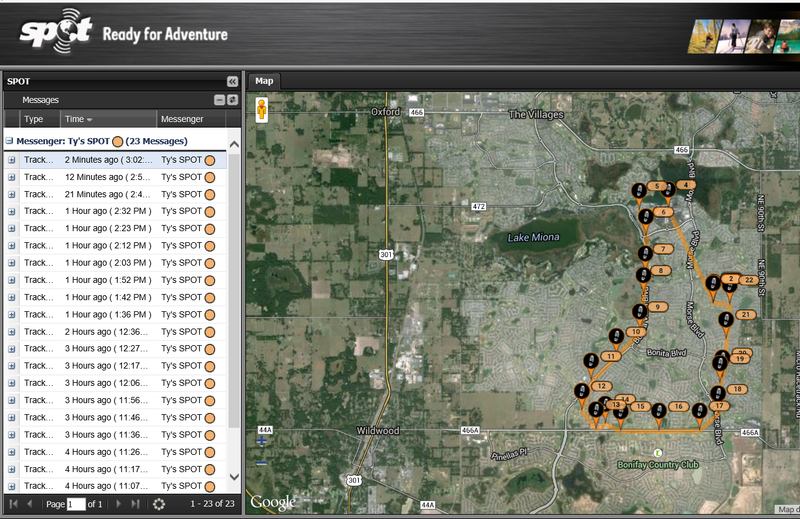 Our most recent hike was almost 16 miles, from our house out to Las Tapas Spanish restaurant in Brownwood and back. Of course, we had to have lunch there... also in preparation for adjusting our taste buds to more dishes with garlic and olive oil. Special Thanks go out to Rosalie Terman for her recommended reading for that trip. We were happy to have Suzanne's Lovely Mom Ruthie and our good friend and neighbor Reve Norman over for my world famous Chicken Marsala recently. Reve is from Louisiana and is an amazing cook who supplies us with gumbo and handmade cheese crackers on a regular basis. I would also like to thank Deb Donley for her unique gifts of hand painted portraits of Rudy and Gretchen, beautifully done on sandstone. We met Deb out in Colorado where she lives and works. 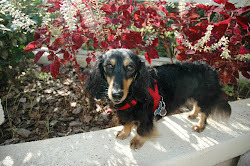 See her web site at www.DebsCustomCritters.com for ordering portraits of your favorite pet or that of a friend.